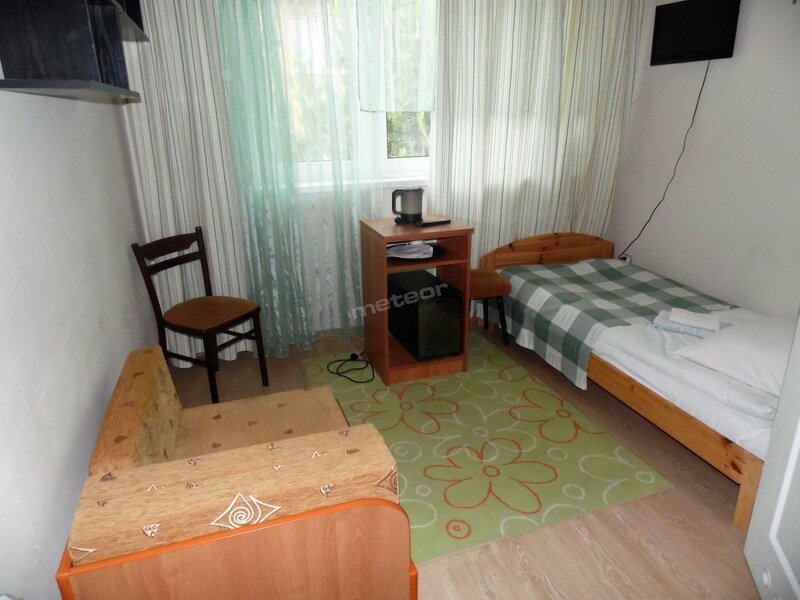 The accommodation price includes: breakfast, Internet access. Additional information: prices depend on the type of a room, prices depend on season and length of stay. 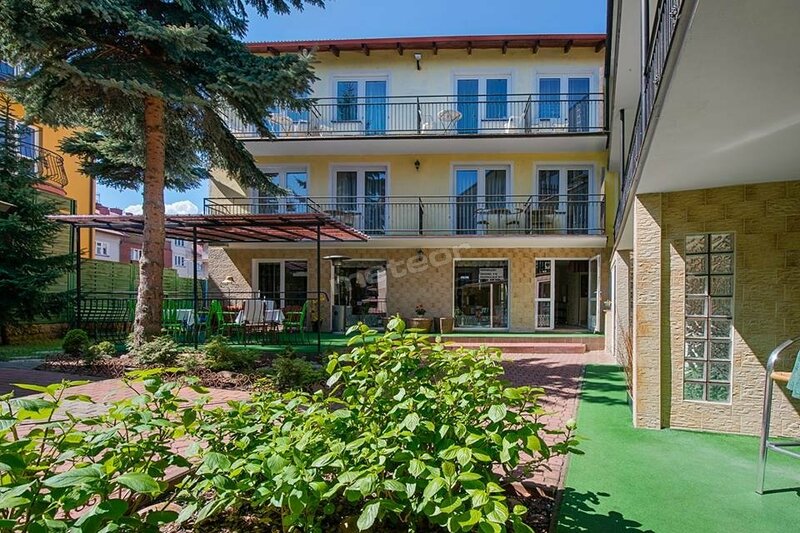 Children up to 3 years old 15 PLN per night. Check-in & check-out time from 15.30 to 11.00 on the day of departure. Rooms are equipped with: TV, cordless kettle, fridge, dishes. In our offer extra beds on request, most rooms with balconies. At guests' disposal wireless Internet (Wi-Fi), dining room. Additionally on the premises beauty parlour, mini-SPA. We also offer infrared sauna, massage chair. We offer specialist treatments: for body, for face, purifying, slimming, relaxing. We offer baths: pearl baths, ozone baths. For the active guest we offer fitness room, table soccer. For the active guest: indoor swimming pool, tennis courts, bowling. At guests' disposal cosy eating house, with terrace, café Plotka. In the eating house fireplace. We offer possibility of full board, breakfasts and dinners. Dinner - half a portion - portion for a child 15 PLN. Our advantages: warm and friendly atmosphere, a perfect place for active rest. We organize: stays for singles, stays for pensioners, spa stays.